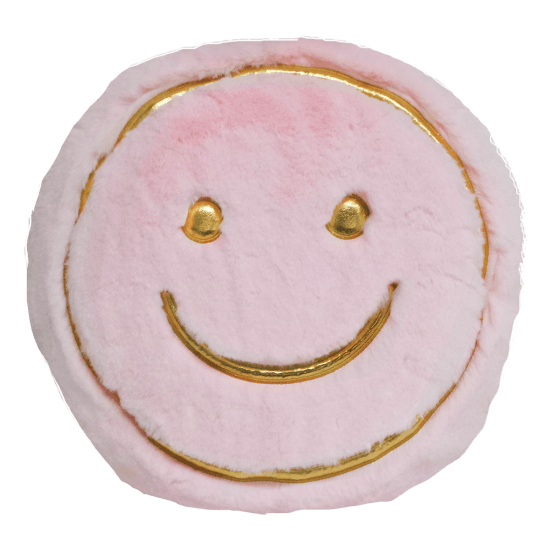 Add a little bit of happiness to your room with our golden smile furry pillow. 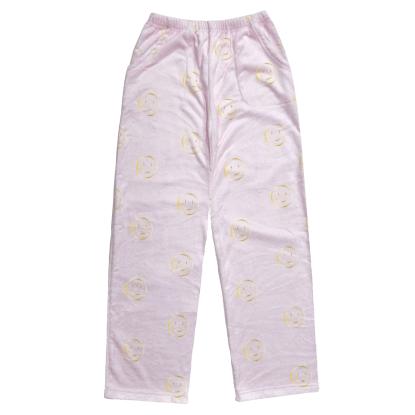 The soft, baby pink pillow has gold metallic smiley face details that will make anyone grin! 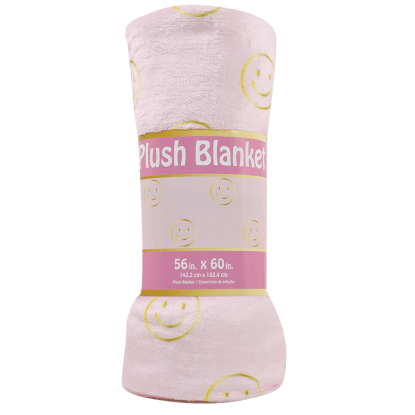 Great to use as an accent on your bed or favorite reading chair, this pillow is also nice to cozy up with for a nap.